You are here: Home / Grooming / Beard / What Is Beard Jewelry and Should You Wear It? Just What Is Beard Jewelry? 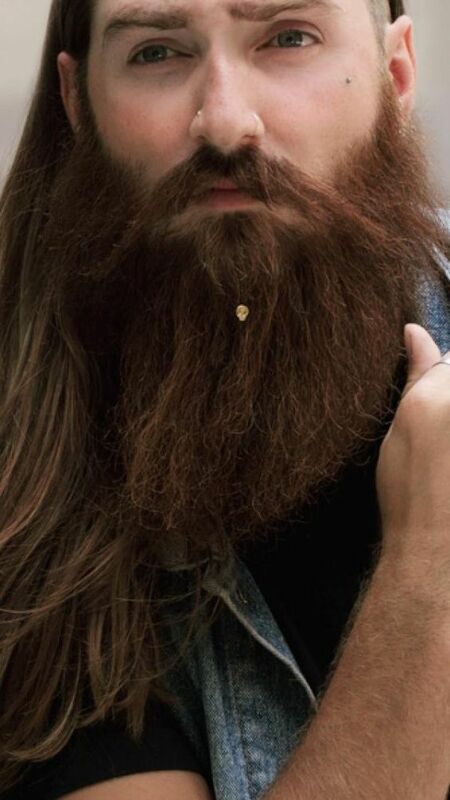 Are Beard Rings The Norm? What Types of Designs Are Available? Is It A Hipster Tend? Should A Man Wear Beard Jewelry? Beard Jewelry seems to be the most recent trend in the ever growing movement toward beards being seen as a hip and trendy style for men. Longer beards don’t seem to be going away (thankfully), and while this movement towards more accessories might seem strange at first glance, you might be surprised to learn that this really isn’t anything new! Most recent beard jewelry items are in the form of little gemstones or faux gemstones that appear like “earrings” for the beard. 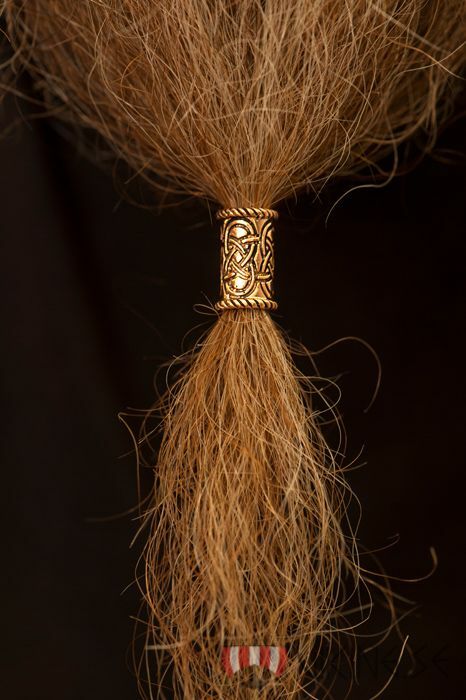 While this might be the current rhinestone type of trend, originally there were many early cultures such as the Vikings and Celts that decorated beards with braids and “rings” that were ornamental specifically for use in beards. There are some companies that specialize in these today. Compared to most current beard jewelry products, no they are not. A good chunk of the current ornamental jewelry being made for beards are very small in size, almost trinket like, as shown to the left,, and generally work in the way that a modest earring works to bring out the ear. This depends on the company or store that you are buying from. There are small skulls for the biker types, gold crosses, small jewels to go with a more hipster look – there is a wide variety of options to choose from. No matter what the beard style or jewelry preference, there is a combination that should be able to make it happen. can browse sites like Amazon which have a decent selection of styles and designs to choose from. One of the reasons there are so many options is that a good chunk of the movement behind beard jewelry isn’t from large companies or one brand, but there has been an explosion of independent craftsman on Etsy, eBay, and other similar sites. This means a lot of unique designs, many very unique ideas, and not a lot of repetition. The independent craftsman really help drive this market where there is some desire to own it from some men for beard jewels. There has been much blowback on this fashion trend, and although in some past cultures a degree of beard jewelry was normal. Many bearded men do not like it while some do. Of course, that’s his opinion but it’s one that many men have in common. Of all of my bearded friends, none of them like beard jewelry or plan on wearing it, ever. Will this actually last over the long term? It’s hard to know either way, but there is enough demand that as the style for beards refuses to go away, this type of jewelry will exist. Well, as you know by now I let every man make up their mind on their own here at New Complete Man. However, if you’re asking me if I plan to wear it; no. None of my friends plan to wear it as well. However, some guys want to make a fashion statement with their beard that goes beyond the norm of just having an awesome beard; if that is you then you might give it a whirl. Individuals should look at their ideal style and search for those specific type of designs in order to get a look that agrees with you and your beard. What are your thoughts? Do you wear beard jewelry? If yes, what do you like about it? If not, what don’t you like about it? Let’s discuss below!